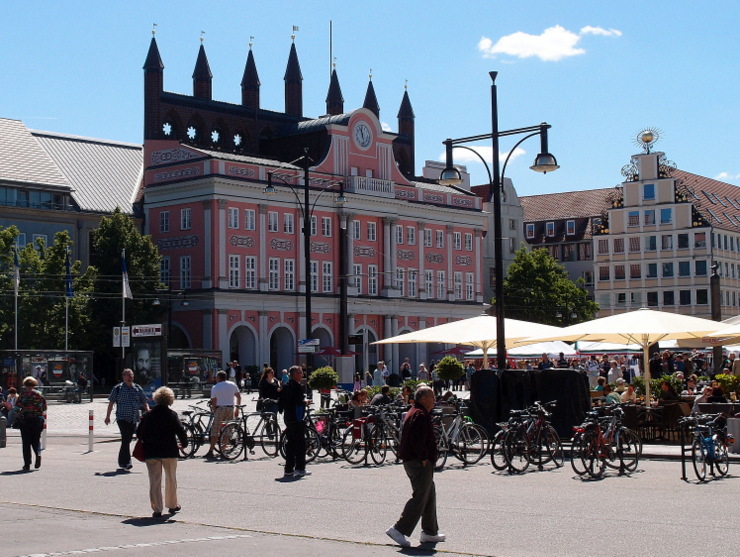 The city hall of Rostock dating back to the 13th century is an interesting mixture of Brick Gothic and Baroque architecture. The Baroque porch was built in front of the Gothic wall in the beginning of the 18th century. While walking along the town square of Schärding I came across the main attraction of the city: The ‘Silberzeile’. 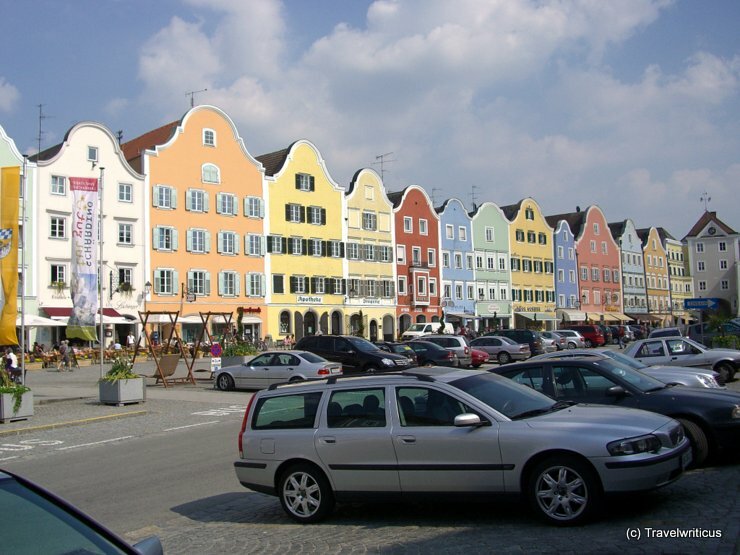 This is a row of coloured houses in the style of the late Baroque period.